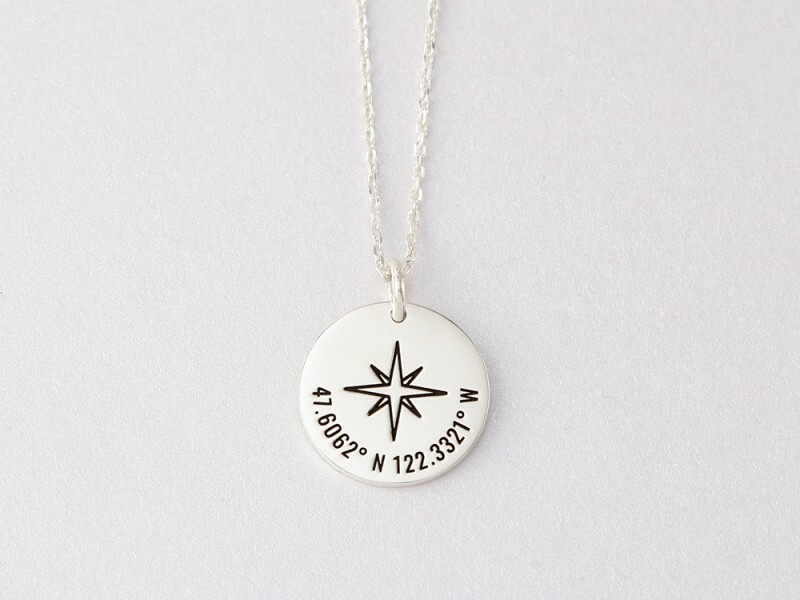 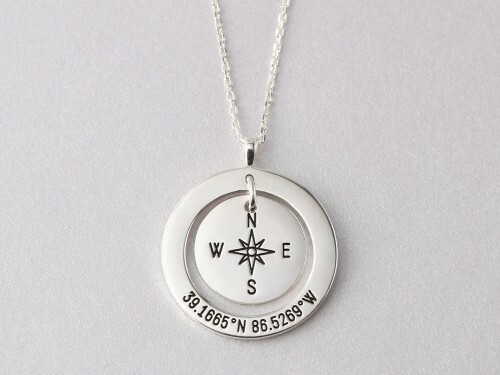 Great for layering, this compass coordinates necklace is a great graduation gift or anniversary gift to celebrate a location to remember. 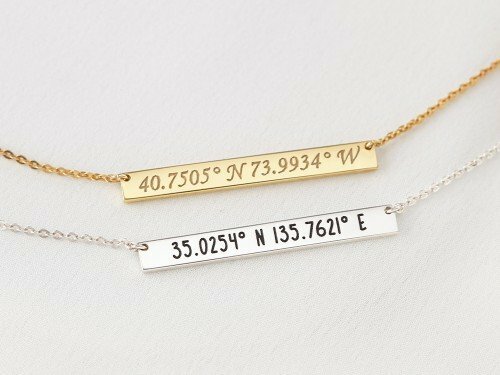 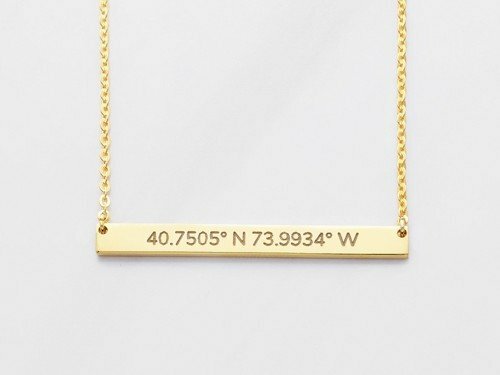 Engraved with your special GPS latitude and longitude, the disc coordinates necklace can be further personalized with a message on the back. 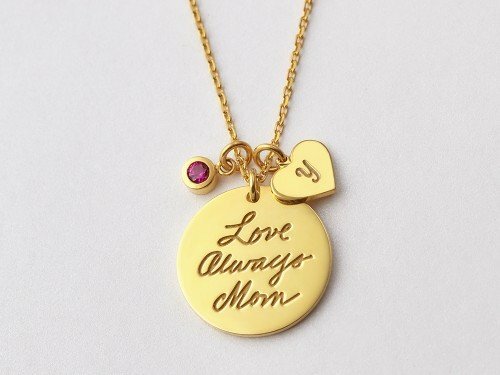 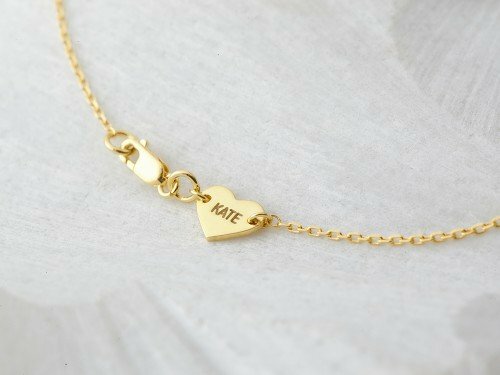 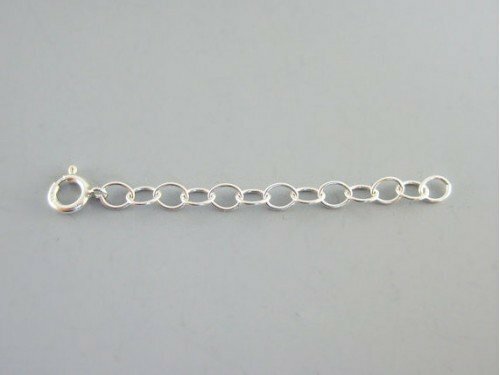 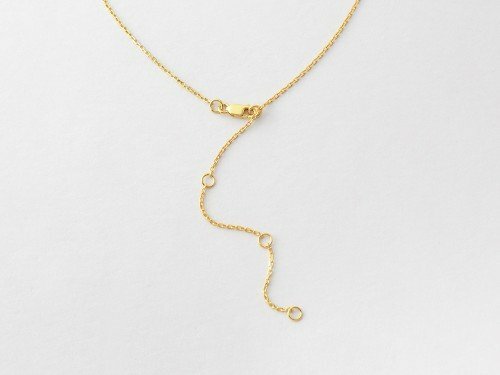 The simple chic design of this lat long necklace makes it perfect for layering.